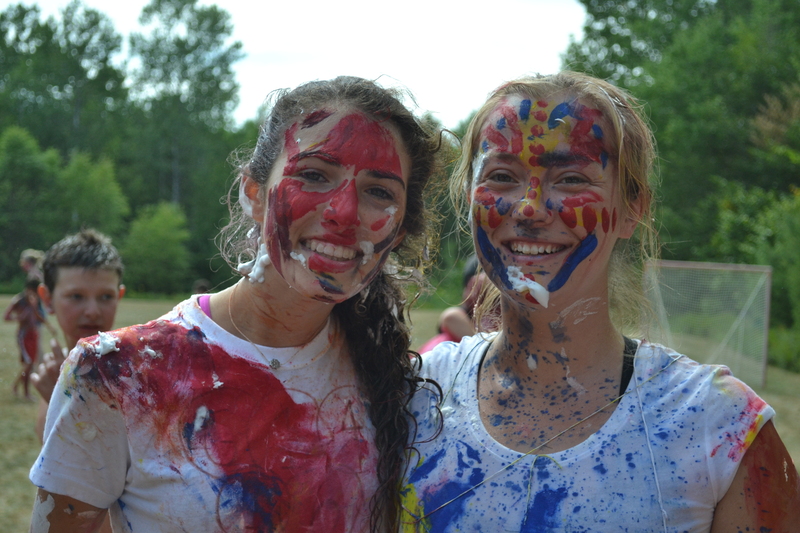 The past few days of camp here in Maine have been spent enjoying our final scheduled activity days. 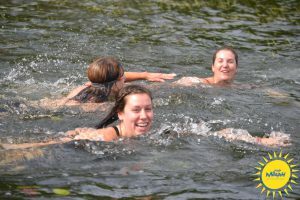 Some campers participated in hikes on Sunday and Monday, others got to enjoy an out-of-camp outdoor rock climbing trip, or our annual photography trip to North Conway, NH. 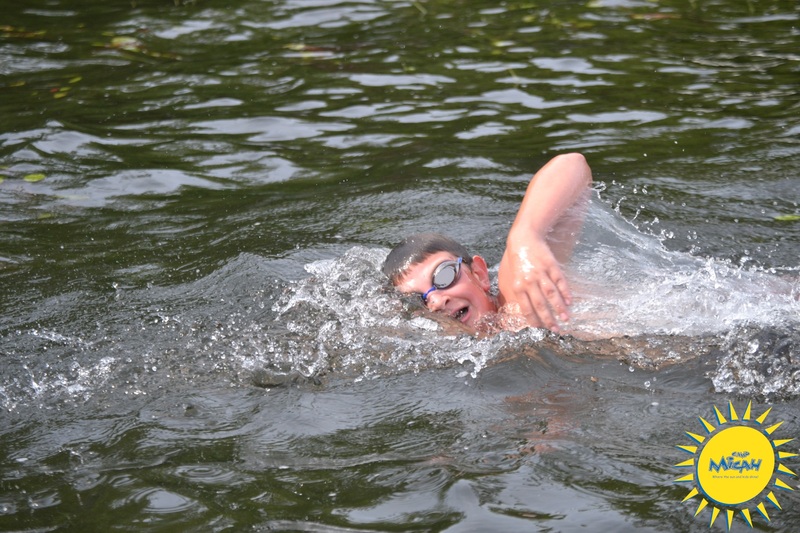 We even held the annual Micah Cup (a sailing race on Peabody Pond). 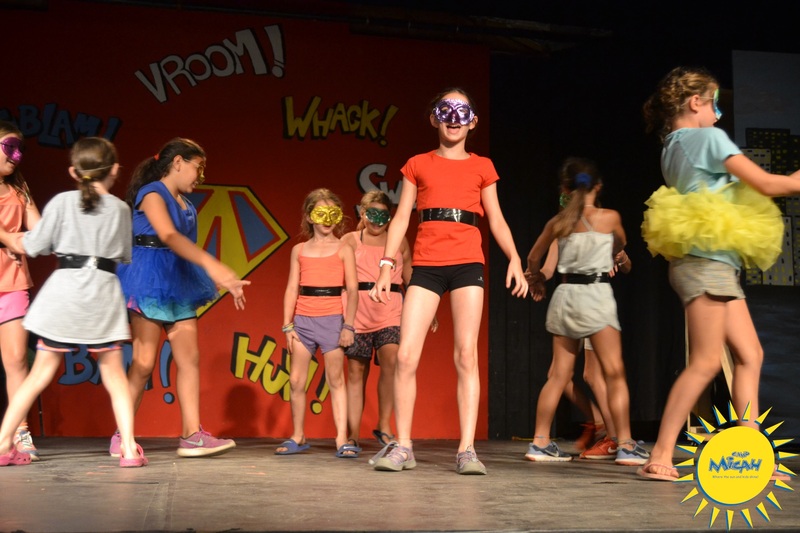 Sunday night brought with it the final dance of the summer for the Timbers and Summits, and our CITs had their last trip out of camp for dinner and fun as a group. 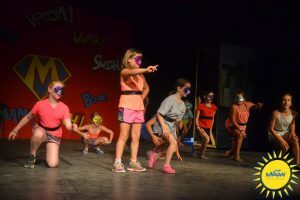 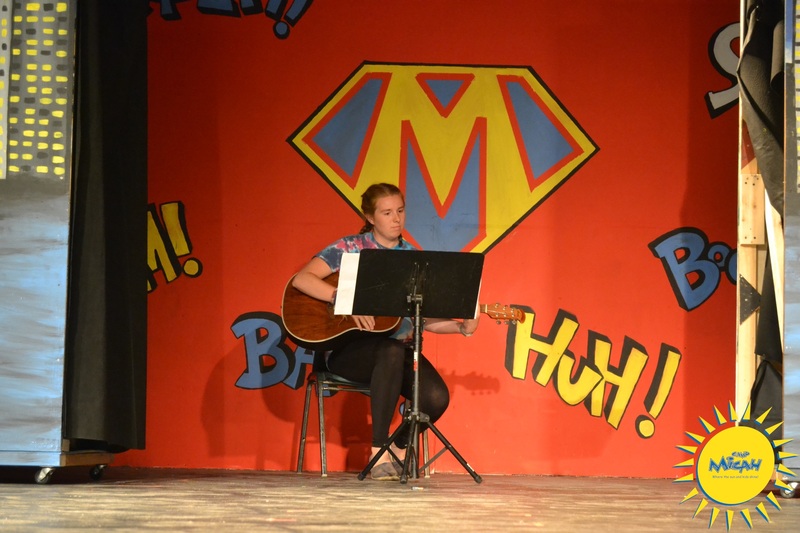 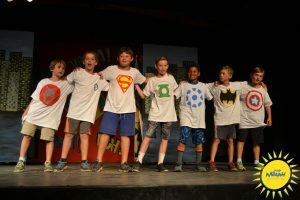 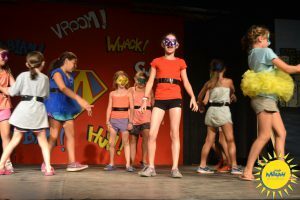 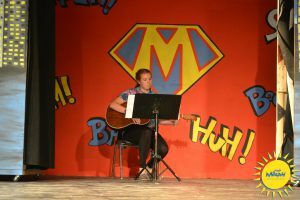 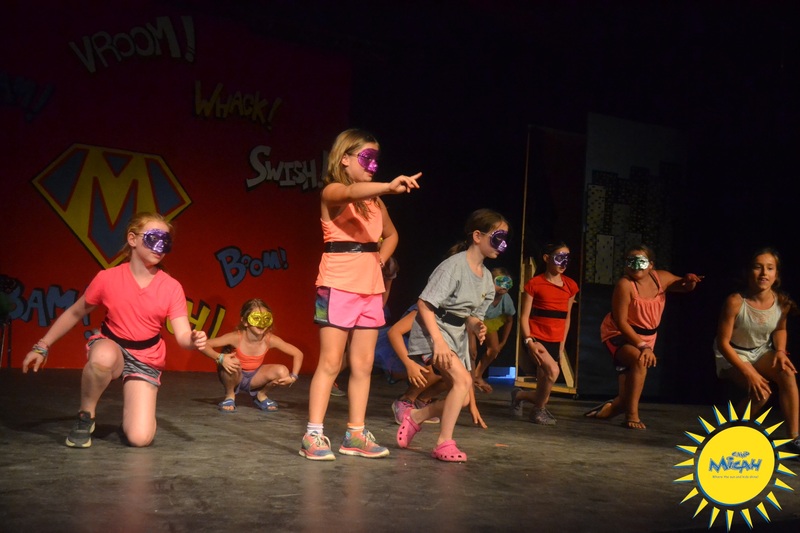 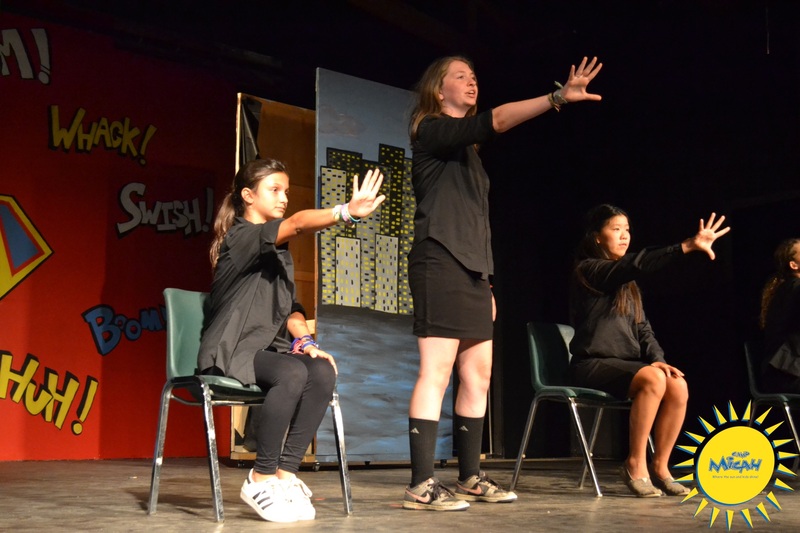 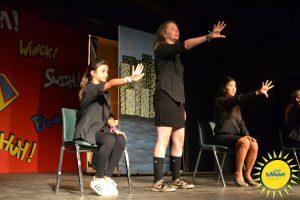 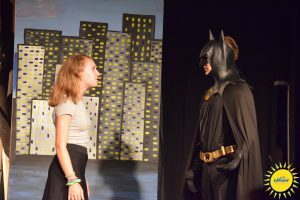 On Monday night, the entire camp gathered in Uncle Milt’s for our second session play, Jewstice League – an original theatrical performance all about heroes. The largest cast in Micah history, over 100 campers, dazzled everyone with their talent, humor, and hard work. 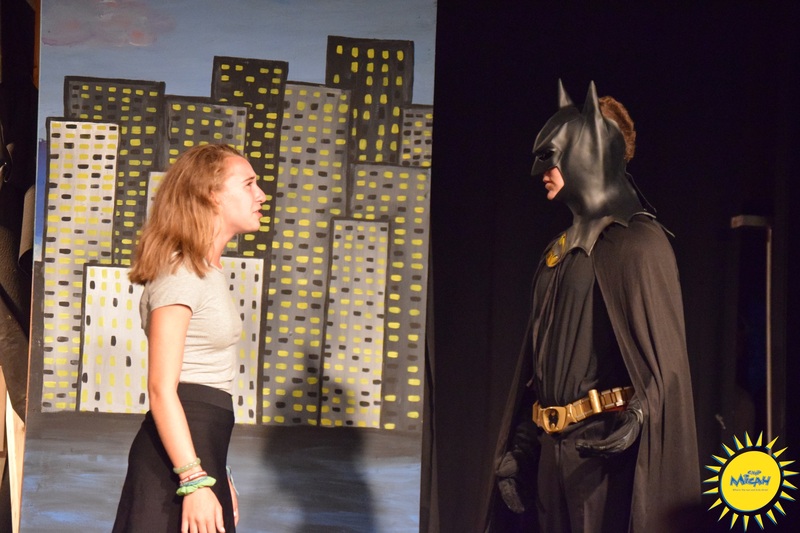 Tuesday morning was filled with final individual schedules. The afternoon, on the other hand, was a wacky one! 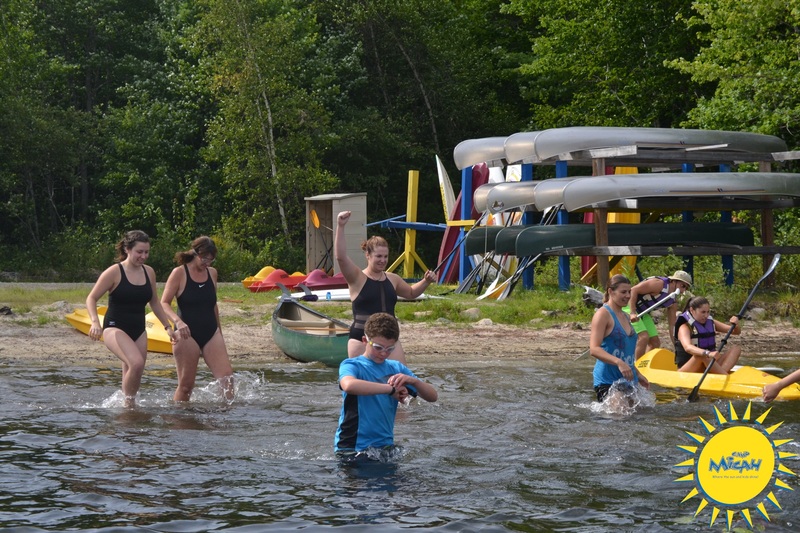 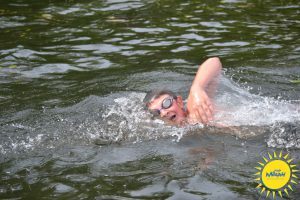 The 2016 Trading Block opened for campers and staff, participants in the second session Island Swim headed off on their swimming race at the waterfront, and the pool and Micah Ninja Warrior course were open for campers to enjoy. 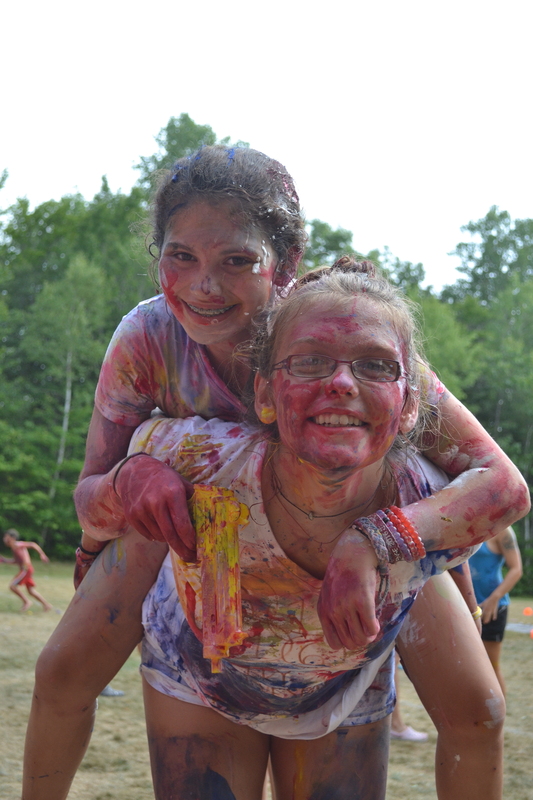 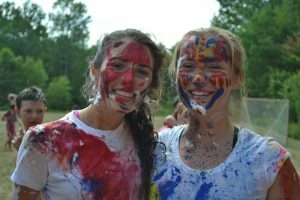 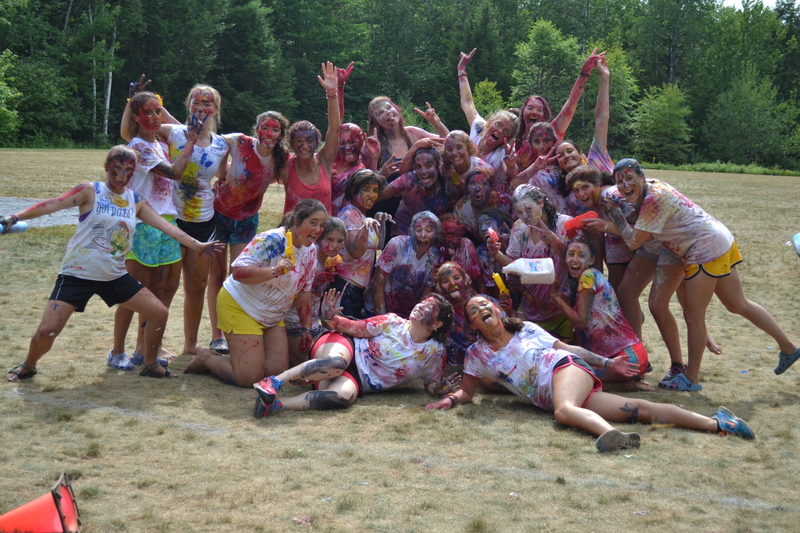 G14 surprised the camp by announcing their annual “Messy Monday” event (which was on a Tuesday). 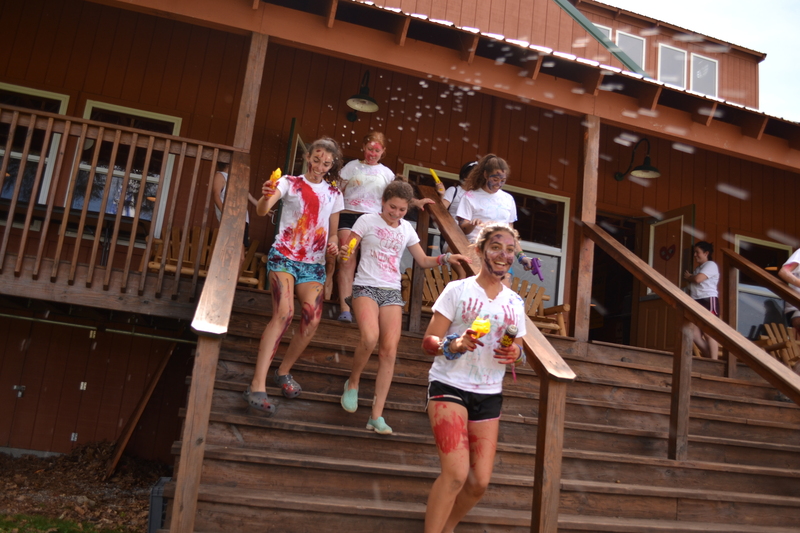 Campers headed to the football field to be covered in paint, bubbles, silly string, and more messiness. You’re welcome to parents that you didn’t have to be part of the clean up! 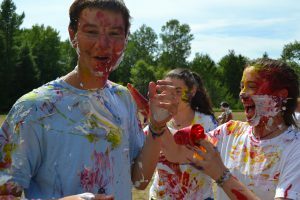 Tonight, the Summit campers and staff headed to the waterfront for a special beach cookout to celebrate the summer while the rest of the camp enjoyed a delicious Thanksgiving-style dinner. 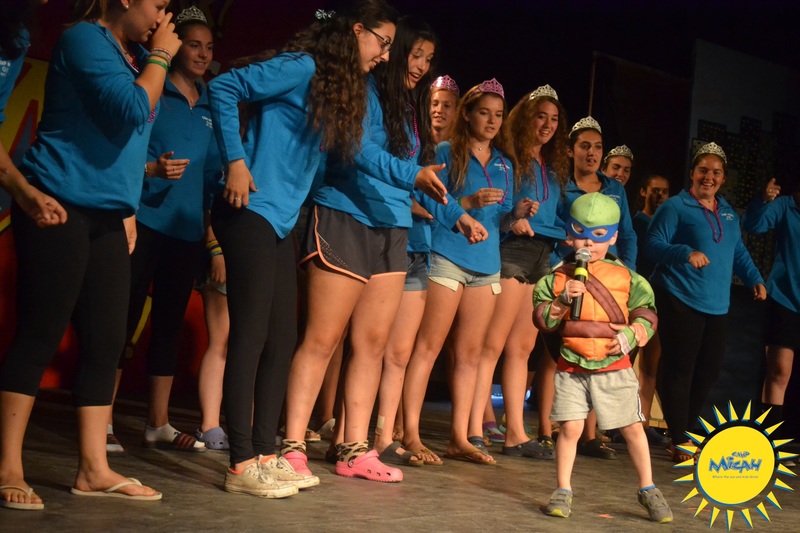 Everyone is now snug in their beds before we wake up tomorrow for one last full day here at our home away from home.